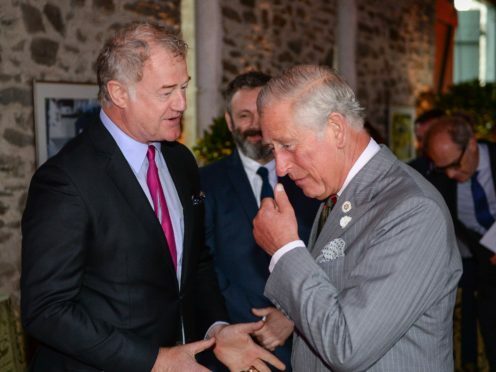 Teale said the Welsh capital is now the “destination” after being impressed by Royal Welsh College of Music and Drama students who performed in Cardiff for their patron Charles. The prince had arrived at Cardiff Central station by steam locomotive and was treated to a 70th birthday concert – including sketches from his favourite Goon Show characters – by budding musicians, actors and some former students. The invited audience enjoyed recitals of Chopin and Bach, Shakespeare soliloquies and orchestral and choir performances of popular tunes, as well as the madcap Goon Show sketches. Teale, who trained at Guildford School of Acting, described the production by the students as “fantastic” and added: “It reminds me how wrong I was, but I thought I had to leave Wales to become an actor, but now this is the destination. Rhys later played on his Golden Globe nomination for his role as a KGB spy in US drama The Americans. He said about being nominated for the Best Performance by an Actor in a TV Drama award: “It’s always nice to be invited to the party, it was a nice moment.